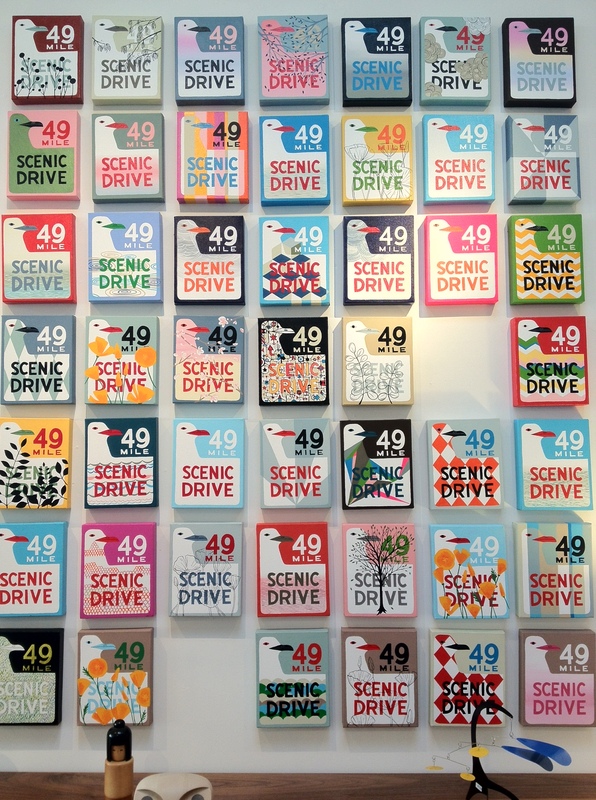 Scenic Drive | Ooh, my favorite! Heading back to Seattle after eating, shopping, and napping on my holiday in The Bay. I’d forgotten how much I miss these 49-Mile Scenic Drive road signs, so when I saw them in these artistic variations at Zinc Details on Fillmore it made me smile. I love them as an entire installation.